If you want to be the biggest pimp in the game then you’ve got to dress like it. You know how they say to dress for the job you want, well if you want to be a top pimp you better start dressing like it, playa. Otherwise, you’ll be left in the dust with the rest of the haters. First step is to find the flashiest threads that are available. After that, you need to accessorize with the most pimping accessories available. You’ll need some chains with plenty of ice, the most blinged out pimp cup you can find, and, most importantly, this Gold Money Pimp Cane. When you’re strutting through the streets with a cane of this caliber, respect is going to the first thing you get from everyone you meet. 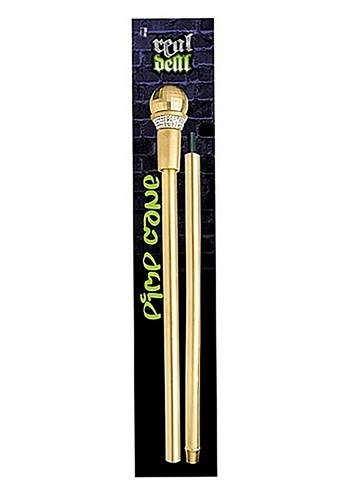 Be the most pimping pimp in the game, be the real deal, when you add this gold cane to your costume this Halloween.